Due to the continuing explosion of unstructured information such as documents, scanned images, rich media, web content, corporate records, emails, and other content, enterprises specifically cite need for production efficiencies, more findable content, decreased time-to-market, risk mitigation, and compliance as reasons for ongoing ECM projects. In addition, some organizations are now developing true enterprise content strategies after previously relying on a collection of point solutions. Investment in ECM therefore remains a priority for many organizations whether it is a new installation or an extension to an existing solution. In his report, Gartner provided few recommendation for evaluating the right ECM and enhancing digital workplaces applications. Collaboration - Evaluate native ECM collaboration capabilities when looking to satisfy operational digital business requirements that span employees, partners and customers. 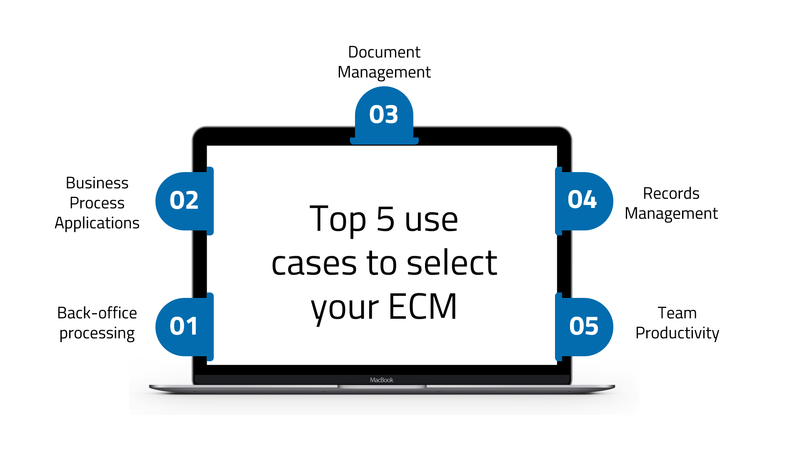 The growing maturity of such capabilities in ECMs may negate the need to undertake the complexity and cost of acquiring and integrating additional ECM products. User experience Develop evaluation criteria that assess the user experience during product selection. Ensure vendors demonstrate how their products align with the required business processes and deployment scope (for example, horizontal versus vertical) to ensure their fit to organizational working patterns and project requirements. Artificial Intelligence (AI) - Base your selection, in part, on a vendor’s current and future planned AI features — a key evaluation criterion. AI technologies will deliver increased efficiencies via automation and productivity enhancements, so ensure that AI is a strategic focus for the vendor you choose. 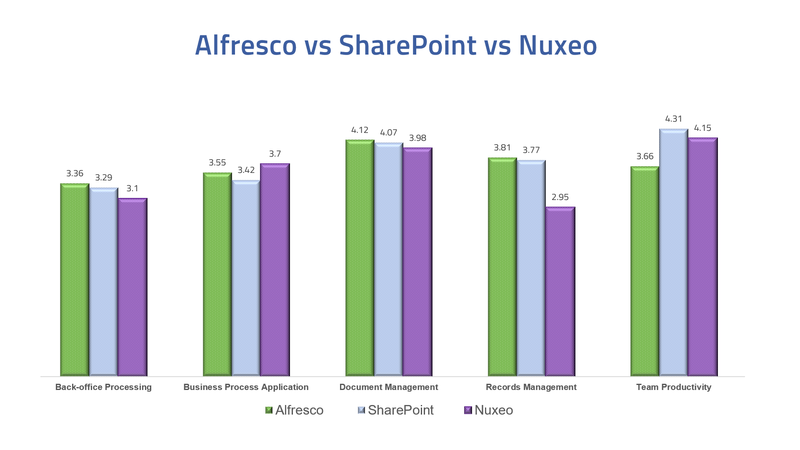 This article is a short version of the report from Gartner, focusing on three ECM vendors: Alfresco Digital Business Platform, SharePoint (Microsoft) and Nuxeo. Back-office Processing: the ability of processing content and information to support business operations that include invoice processing, purchase to pay and employee on boarding. Business Process Applications: to configure and define content-centric applications through the tight integration of content services and business processes. Document Management: to support document and content management needs across teams, departments and enterprises. Records Management to support records management, regulatory compliance and business continuity. Team Productivity: to support individuals and knowledge workers who need access to relevant content in the context of their project or work tasks. Alfresco’s strength in this capability lies in supporting integrations with line-of-business (LOB) solutions and purpose-built applications with its Application Development Framework (ADF). . Alfresco Capture Services provides capture capability. This is a fully supported OEM version of the capture product from Ephesoft. SharePoint's (3.29) and Nuxeo's (3.10) integration with other LOB applications, such as SAP, require third-party add-ons, high volume scanning and multi-channel capture is also not included. Alfresco provides extensive workflow and business processing capability via its Process Services component (built on the open-source Activiti framework). A combination of this capability and the ADF provides organizations with tools to develop rich business process applications. Microsoft's primary focus is on task automation and, as such, is not always suitable for complex business processes. Therefore, in both the online and on-premises versions, third-party components are often required for advanced workflow need. Nuxeo is a very flexible platform and provides a comprehensive set of features that can be configured to design and deploy highly specialized content services applications, including workflow, and automation rules. 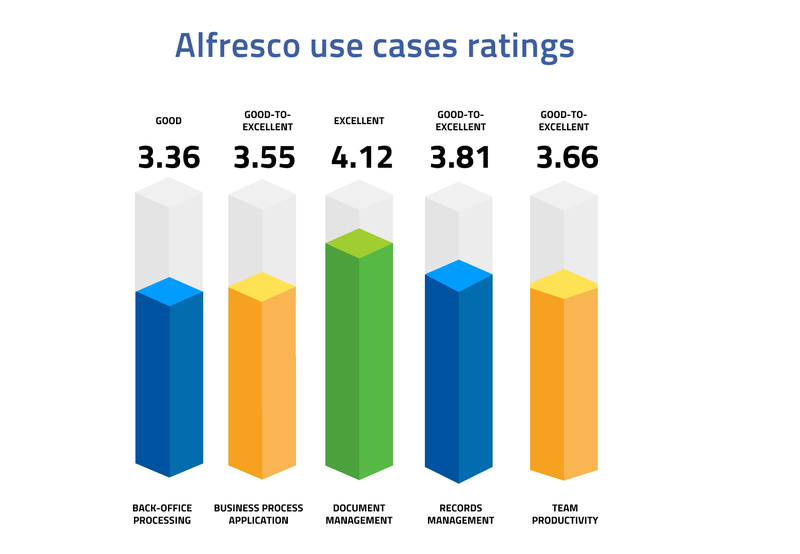 Alfresco provides very strong document management capabilities and flexible metadata modelling capabilities. Content is accessible wherever and however you work and easily integrates with other business applications. Document management is a central tenet of SharePoint, with all standard services covered. One limitation compared to some other vendors is that content can only exist in one library, which can lead to content duplication. Nuxeo provides a standard set of underlying content management features. There is currently no desktop client, which may be challenging for organizations with more horizontal content services requirements. Alfresco’s positive score for records management is based on the capability contained within its governance services module. It contains all the features expected for a mature records management offering and maintains certification with a number of international standards, including DoD 5015.2 and VERS. SharePoint Server has basic records and retention capabilities, with records centers and information management policies. Typically, third-party products are deployed here for organizations with complex records management needs. Nuxeo has limited advanced records management features (in particular, the ability to manage a records-based file plan) in the current release that will limit its records management applicability for organizations with significant compliance obligations. Alfresco provides a workspace-driven approach to team and personal productivity through its web and mobile clients. It supports integration into common productivity suites including Microsoft Office 365 and Google Drive. Team productivity has long been a core strength of SharePoint. A central concept of all versions is the site, which allows users to define workspaces for any kind of team-based task. Nuxeo supports a number of concepts that make it highly suitable for team productivity use cases. 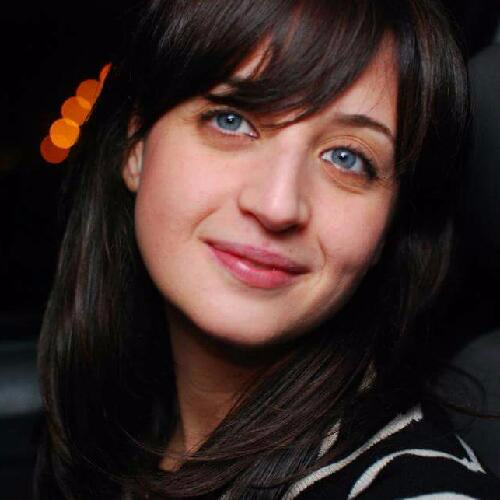 Content sharing is present for both internal and external users. So, which ECM software comes out strongest? The comparison shows that not one of the ECM solutions has a strong advantage over the other. However, the report does suggest some areas that software buyers could use to evaluate their software options. Alfresco Digital Business Platform provides a more complete offering, investing today also in AI, Machine Learning, and process automation to improve the overall customers experience.